Most familiar forms of psychotherapy pay attention primarily to the mind, to our life experiences as we remember them and bring them to mind, and to how we think and feel as a result. They pay attention to difficulties, limitations or disturbances of the mind. Most forms of body therapy pay attention primarily to the body, to the way our life experiences are registered and retained in the body. They pay attention to limitations, compulsions or difficulties that we experience as discomfort or pain in the body. Movement psychotherapy pays attention to the whole person in movement (which includes stillness). Movement psychotherapists understand that our life experiences (from birth to the present) are registered and recorded as mind memories and as body memories through our movement. So we work with the ‘whole picture’ that the client brings. This includes the thoughts and feelings that you describe, the way you talk and tell your story, the way you walk, sit, stand and move around, the physical sensations you describe, your gestures and postures. In our first session, we will talk and I will ask you about what you are looking for, your current situation and maybe a little about your life history. I will listen and may invite you to move, make sounds or use a range of materials to express yourself so that you get a sense of my approach. This initial session usually clarifies whether this way of working is useful for you. We then decide together on whether and how often to meet again. ​In subsequent sessions, there may be less talking as you find other ways to explore feelings, sensations, ideas and beliefs. But we do reflect on those experiences together in conversation towards the end of the session and I may suggest some movement/awareness-based task to practise lightly until our following meeting. It's my experience that an effective way to undo or rewrite damaging past experiences is through our expression and movement now. I am trained to work in the present, so I will try to attune myself to your rhythm and flow, to the many ways you move and express yourself through time and space in the room. You don’t need to have any skills or experience as a dancer, singer or artist – we will just work with everyday movement and expression. I have been working as a movement psychotherapist since 2002 when I graduated from the University of Roehampton, London. In 2009 I completed my PhD exploring the relationship between notions of self, body, environment, change, habit and choice. In 2014 I completed a year’s training in Family and Systemic Therapy at the University of Plymouth and the Creative Approaches to Supervision training at the London School of Psychodrama. I have been passionate about the relationship between movement, attitude, habits, choice and health all my life. 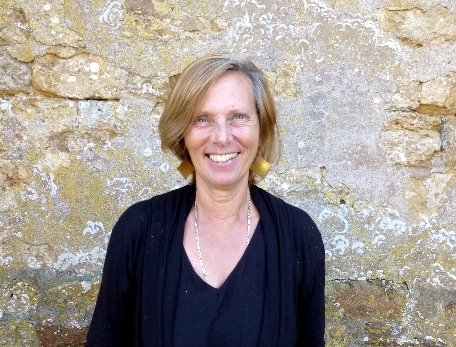 I have worked with children and with adults in many different situations and, since 2009, I have developed my own private practice in West Dorset, working primarily with adults, including therapy trainees. Technically, my approach to movement psychotherapy is grounded in integrative, systemic and somatic principles, with a lifelong commitment to the creative process and to Satipatthāna, (the Way of Mindfulness). I offer a first session for us to meet and assess whether I feel that my approach is appropriate to your needs and whether you feel comfortable with the idea of us working together. Subsequent sessions will be agreed between us. The fee for subsequent one-hour sessions is £40.00. As an RDMP, I am a Registered Dance Movement Psychotherapist and appear on the ADMP's Registers of Supervisors and of Private Practice Therapists. ADMP (The Association for Dance Movement Psychotherapy UK) is an Organisational Member of the UKCP.